Prepaid in romania is an own science! If you have ever been travelling in Eastern Europe, you might have noticed that the roaming fees are killing your cashflow or provide an ugly surprise when you return, just because you didn’t get yourself a pay as you go sim card. Luckily enough, Romania offers you a wide range of pay as you go plans by different operators with multiple ways to charge your credit off and online, making it really easy to top up at your convenience. In most cases, every time you top up in Romania, you even get a bonus paid in airtime (free calling minutes) or even extra charge of mobile credit when you recharge your pay as you go plan. Market Leader in Romania, with more than 10 Million subscribers. 6.5 Million subscribers (Cosmote offers a CDMA 2000 network, so you might be lucky, if you own an American CDMA phone), Cosmote is mainly focused on prepaid (pay as you go) plans. I’m not quite sure if they offer you any bonus when you top up your pay as you go plan. You can top up Vodafone on their website, but for the other operators you have to find independent service providers like Fonmoney.com to top up your sim. There are some international top up providers like transferto and ezetop, but they usually charge you between 25% and 50% fee. Fonmoney charges only between 7.5% and 10% for every top up, so they are the ones with the lowest fee on the market. To top up your airtime in the countryside can be tedious, so charging your prepaid phone will be easiest online. Please keep in mind: after you top up your credit on your phone, the operator sends you a message showing you your account balance. Please notice that the carrier always deducts the VAT from your account balance. If you charge 10€ after fees the carrier shows 8,06€ of pay as you go credit. It's quiet easy to get sim cards in Bukarest, just go to one of the many operator stores to buy a sim card. 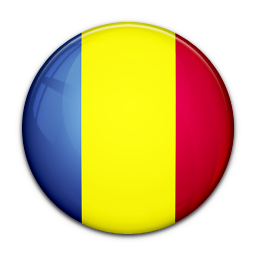 Most of the carriers have an exhausting retail network in Romania. You can practically buy the sim at any corner and recharge your phone online. Most of the time, when you buy a pay as you go plan, you wont have to top up the card immediately, as it will already come charged with some credit. Please keep in mind that in Romania, the carriers deactivate your sim after a certain time if you don't top up on a regular bases. So you have to recharge your phone every month, if you want to keep on making calls. Otherwise your sim switches to a passive mode, this means that you can only receive calls, but you can't make any yourself. After one year your sim card expires. Some carrier in Romania offer you the possibility to extend the life time, without having to top up, against a small fee (about 1,00€), in case you want to keep the number and credit. When you top up online or offline, try to top up higher amounts (like 10€, average top up in Romania is less than 5€) to benefit from the incentives (free air time, mobile credit, etc.). Hey man, that is really cool that you can top up the phone online now! When I’m going to travel in Europe this summer I’m just gona make my parents recharge my phone from the states. That should save me a bug or two ☺ since I’m planning to stay in Romania for at least a month or two as I heard it’s the perfect spot to chill and recharge your batteries! I found your blog and wanted you to ask, is it that i can top up a romanian cellphone from the internet without that it is my phone? the phone from a friend? so as giving airtime as a present? I used www.fonmoney.com to top up my romanian cell from abroad and it worked perfectly!